Keeping up with our tradition of being the first to offer the latest in dedicated server cpu technology, WebNX is proud to announce that we have added the New Intel e3 1275v6 Kaby Lake processors to our line of dedicated servers. These new Intel processors offer faster clock speeds, higher turbo frequencies, and higher clock speed changes. The e3 1275v6 has 4 cores @ 3.8GHz and can take up to 64gb DDR4 ECC ram. Be the first on your block to get one of these blazing fast new servers. Configure and order yours now! 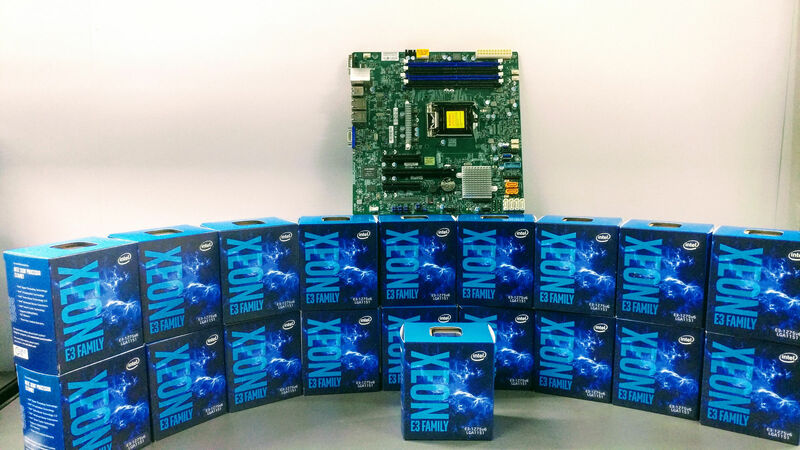 We just got our first batch of the New Intel Xeon e3 1275v6 Kaby Lake processors in stock. These are ready for Deployment. Order yours today!